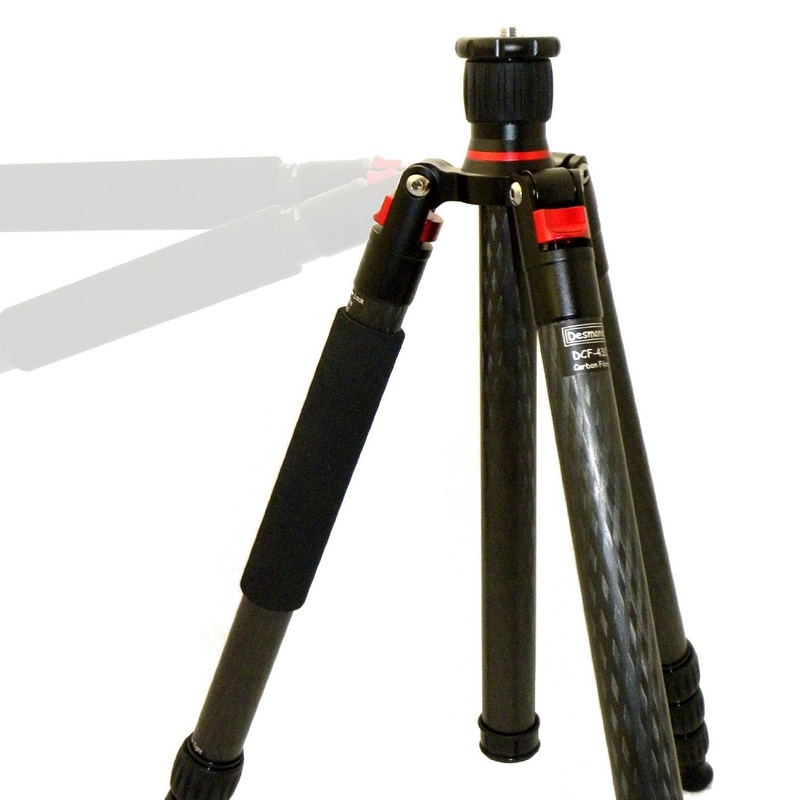 Not long after the release of the robust "Series 3" Desmond DCF-432 last August, a second Carbon Fiber traveler tripod was released under the Desmond label. This time the label says "Des DCF-428 Carbon Fibre" meaning that the new Desmond tripod falls into the more standard "Series 2" segment with a 28 mm top leg section diameter. This the most competitive market segment with many contenders coming from top brands but from numerous not so known manufacturers. What would make the difference in this hard to compete segment? I guess Desmond mentality has proven enough to make a difference up to now. Budget price tags on quality products. Well, indeed this is where this tripod package stands. The DCF-428 kit offers a very good quality equal to only top brands with a price tag difficult to believe. 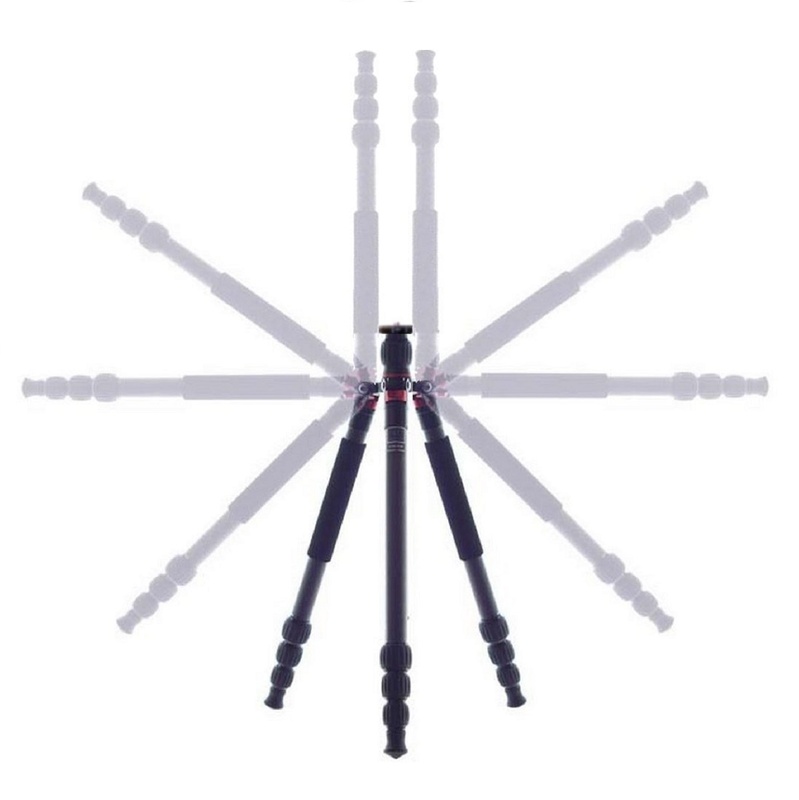 Maximum Leg ∅: 28 mm / 1.10"
Max Height (Center Column Raised): 1710 mm / 67.3"
Max Height (Center Column Down): 1425 mm / 56.1"
Min Height (Short Center Column): 241 mm / 9.5"
Folded Length: 49.5 mm / 19.5"
CNC machined Aluminium alloy spider. 8 X Layers Carbon Fiber legs. One leg can be converted to monopod. Three angle leg position with spring loaded locks. 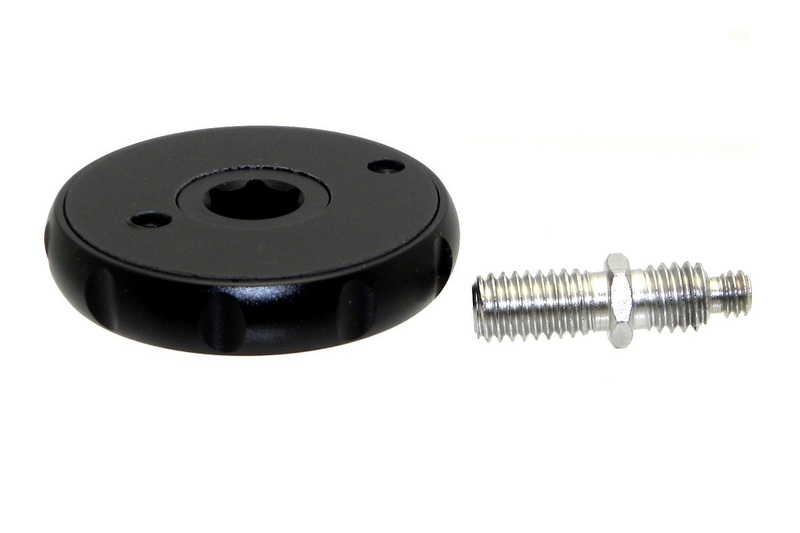 Reversible 1/4" or 3/8" Mounting Stud. 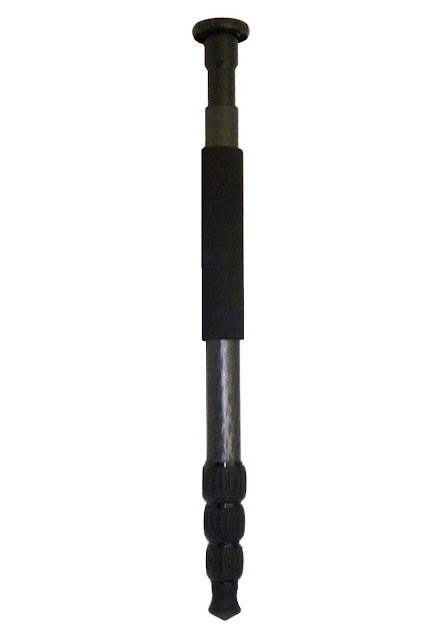 Reversible center column with retractable sandbag hook. 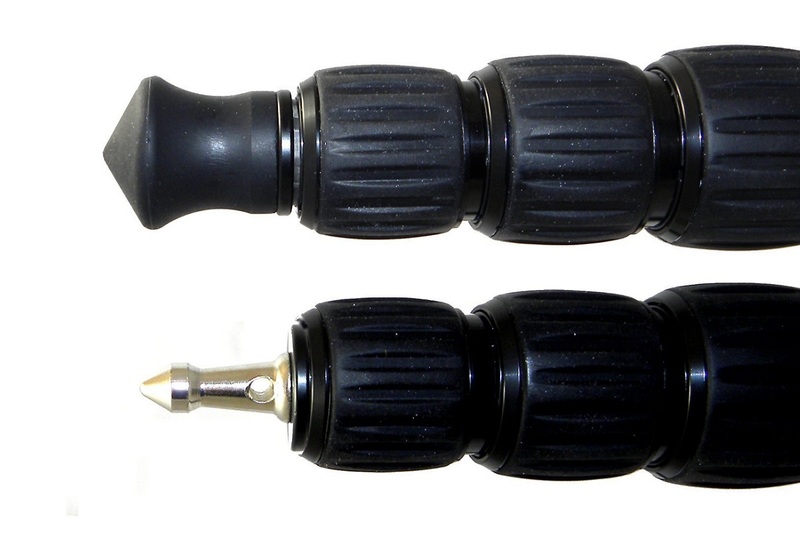 Stainless Steel Spikes with Rubber caps. Interchangeable via 3/8" threads. tools and instruction manual included. Plus a DB-40 Ball Head. Once again, rest assured that functionality and quality are above expectation for the price range. Any minor issues have been wiped off, since I have personally participated in the evaluation and refinement of the pre-production samples. In this respect I can verify that the DB-40 ball head is among the strongest, if not the strongest, in its caliber, surpassing models with larger 44 mm balls. The torque test results are top, but please wait until a full review comes out. 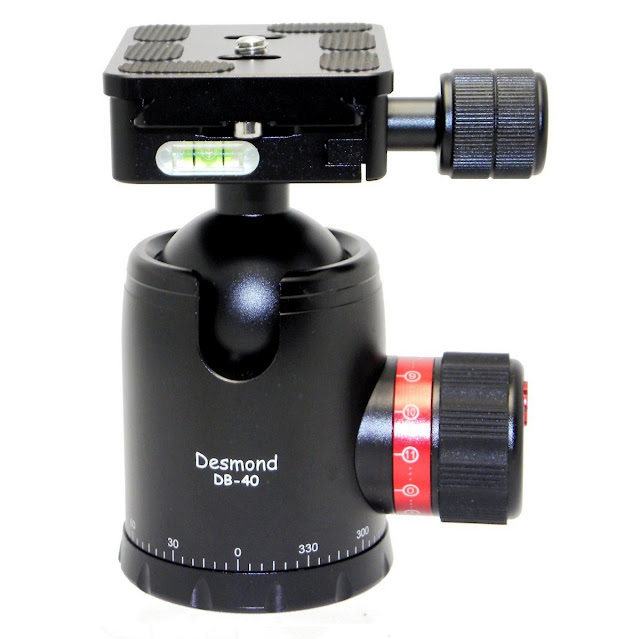 The RRP of the Desmond DCF-428 + DB-40 tripod/head kit is US$ 199.95 shipping included in the Continental US. However, for the holiday season both Desmond tripods - meaning also the previously released DCF-432 are available with a 15% discount. Therefore, the DCF-428 + DB-40 Kit sells at the incredible US$ 169.96 and is available from Amazon or from eBay. Thanks also for commenting Oscar. Nest is still tops in detail and finishing. On the other hand, although cheaper Desmond is almost as good quality-wise. However, there are some points that you have to consider before making a choice. NT-6295 is a 5 section tripod vs 4 sections of the DCF-428. Nest is a little bulkier larger in diameter but a little shorter when folded. Desmond has 3 leg angle stops vs 2 of the Nest. Desmond has closed foam grip and ss spikes while Nest doesn't. BTW any minor flows of the Desmond design, were corrected by me before it hit the market, while keeping the budget low. I hope to publish the hands on review soon and explain everything there. Insane price increases recently. Went from $130 in Jan 2016 to $179 6/2/2016 to $199 6/2/2016 pm. Think they lowered the price to get the quality for the value reviews in for the product. Not sure at this new price point the value is there anymore for this model. Better read the Price and Availability section in the post above. 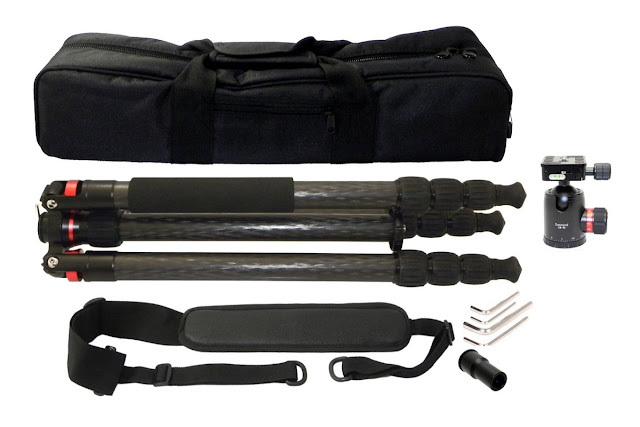 Even when introduced in December 2015 the DCF-428 tripod kit price was $ 199.95 (including a ball head) and as explicitly stated there was a 15% discount for the Holiday season. Now it also sells for $ 169.95 without ball head. 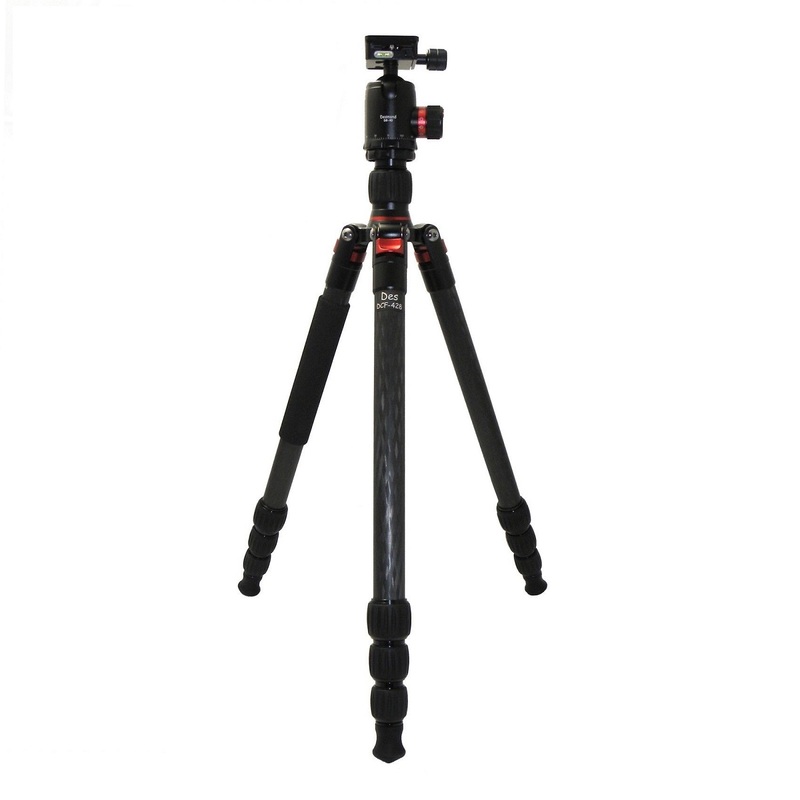 I still think that the DCF-428 Carbon Fiber tripod represents a great value for money as at the time of its introduction. Yeah, it's still really really aggressively priced... $170 is only $20 more than Sirui's equivalent ALUMINUM legs, the Desmond essentially saves you a pound for $20. Any chance a review is forthcoming? I was actually about to purchase a pair of N-2004X with a K-20X head but I'm now tempted to go with Desmond. Carbon Fiber tubes have more merits than weight saving. Are more rigid and absorb vibrations better than Alu. DCF-428 review is among the pending reviews. Unfortunately personal problems have kept me away from completing a lot of articles for some time now. I'm sorry to hear that Soitris, I noticed there weren't a lot of posts this year on your wonderful site, I hope it all works out for ya! I've gone ahead and purchased the Desmond legs in the meantime along with a Sirui head, knowing you were involved in their testing gives me some reassurance. 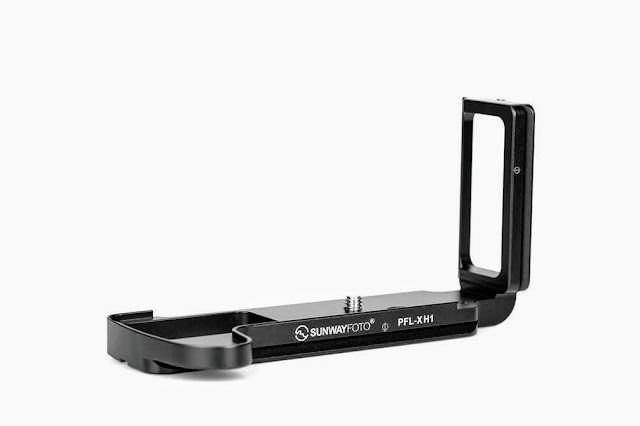 I chimed in a few times last year when I was building a pano rig with a combination of Hejnar/Sunway parts... 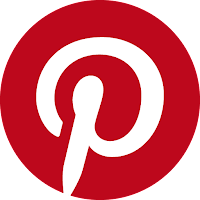 Your site was instrumental then as well as a couple helpful comment replies you wrote. Still can't figure out why my comments keep showing up under 'Unknown' even tho I signed in via Google, oh well. You won't regret your choice, this is good stuff directly from the source with a very low overhead and no intermediate costs, thus the low price. Enjoy! Regarding your comments signature, it seems you comment signed in to blogger. If it were a Google mail account I guess it would show your name.